The hospital can be a profitable place to invest. 3. Are Foreign Stocks Important to a Portfolio? 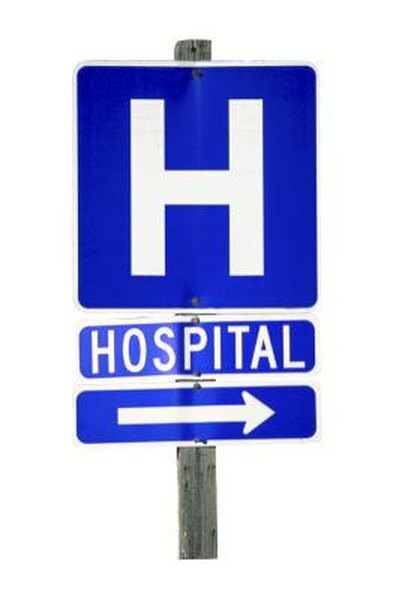 In most cases, a trip to the hospital does not provoke thoughts of investing. To the trained eye, however, hospitals are littered with investment opportunities that investors of all experience levels can access. Those opportunities are not limited to the pharmaceutical companies. Hospital equipment represents another way investors can gain health care sector exposure. A good place to start the search for hospital equipment investing ideas is with a stock screener. Stock screeners allow users to refine searches based on specific sectors and industry groups. When looking for hospital equipment ideas, investors should screen the health care sector. One of the better free stock screeners is available on Finviz.com. The screener there allows for refined searches across multiple sub-sectors of the health care industry, including hospital and medical equipment. An often-used avenue for getting exposure to the hospital equipment investment theme is through medical device manufacturers. Some medical device makers produce an array of hospital equipment. Intuitive Surgical, a maker of sophisticated, technologically advanced, surgical machines can be viewed as a hospital equipment company. Investors looking for broader exposure to the medical device arena can consider a fund such as the iShares Dow Jones U.S. Medical Devices Index Fund. There are some slight differences between medical device and medical equipment makers, though some companies are engaged in both businesses. Some medical equipment makers manufacture products that are less advanced than medical devices. However, many of these products are essential components of day-to-day hospital operations. Those products include intravenous solutions, administration sets, kidney dialysis machines, laboratory equipment, pumps, hospital beds, monitoring systems and specialized computer systems for health care professionals. Some companies with hospital equipment exposure are focused on niche segments of the market. For example, St. Jude Medical focuses heavily on cardiac equipment used to treat patients with lethal heart conditions. Covidien makes laparoscopic instruments, surgical staplers, and interventional lung solutions along with vessel sealing, electrosurgical and ablation products and tissue repair products. Medtronic is a diverse company that makes cardiac equipment, devices used to treat ear, nose and throat ailments and neurological products. What Are the Faith-Based Companies on the Stock Market?